Adopt-a-Thon Update: Target achieved and exceeded! On March 5, we put out an urgent plea to animals lovers to help us with the unprecedented number of felines we had in our care. You adopted, you advocated and you applied to foster helping us to not only reach our target of 222, but exceed it with an amazing total of 311 happy adoptions by March 31! An average of 77 cats and kittens were adopted per week. 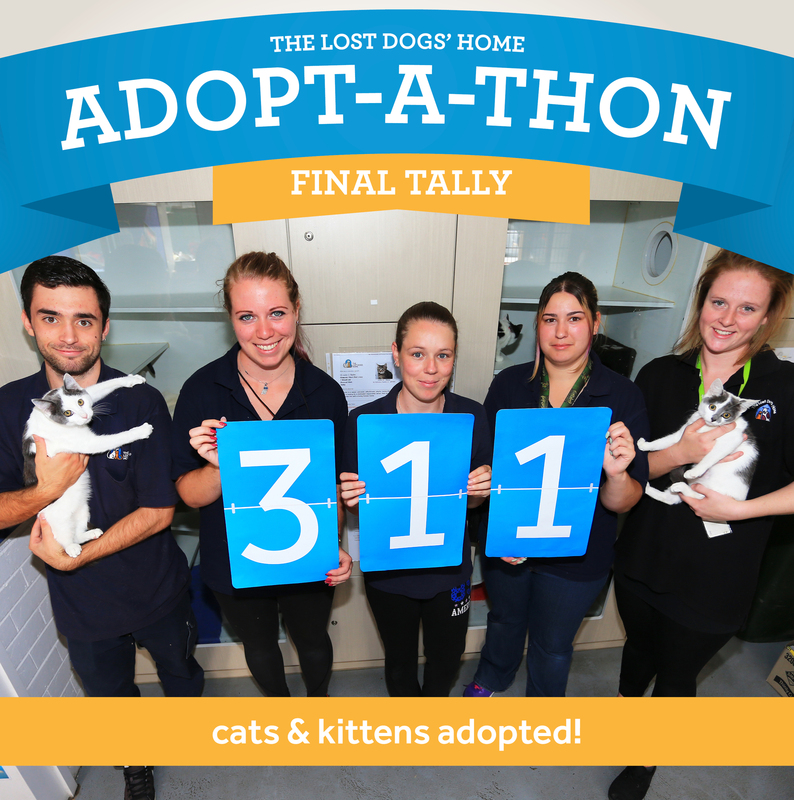 You shared our Adopt-a-Thon posts a total of 4614 times, reaching over 500,000 Facebook users. Our North Melbourne Shelter had a large number of adult cats, many of which have now been rehomed. With more adoptions, we were better able to accommodate for the steady flow of felines coming into our care. We have received foster care applications, which will mean more cats and kittens will be able to recover from surgery and have time out in a home environment.